Signing on for a week of hiking, fitness and weight loss at Mountain Trek Retreat in British Columbia’s Kootenay Mountains may be one of the greatest gifts you can give yourself or someone you love. This realization hit me before I’d even had the chance to get out and actually experience the retreat. 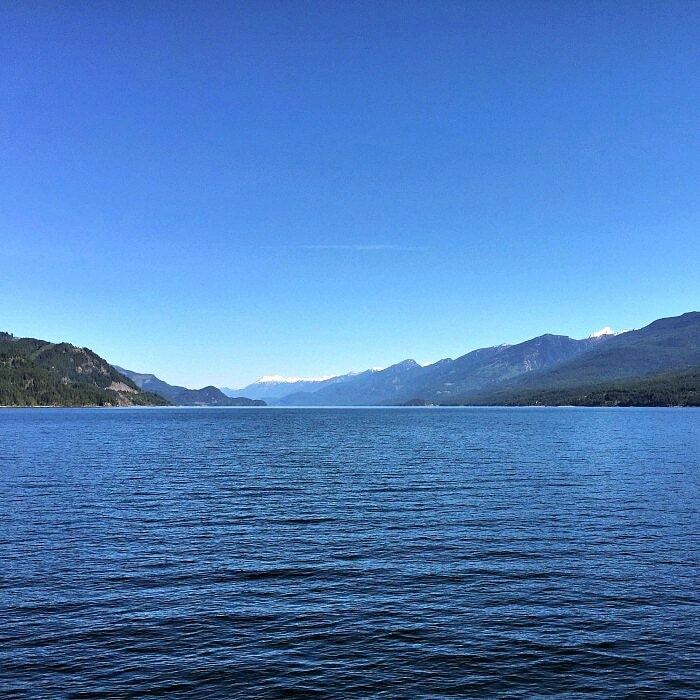 Whether it was the fresh mountain air, the lovely setting overlooking the deep blue of Kootenay Lake, or the calm of the West Coast-inspired lodge buildings, that feeling of “Yes, this is a good thing!” was confirmed and amplified on a daily basis during my one week stay. Here are seven reasons to spend a week finding vitality and wellness at the beautiful Mountain Trek Retreat. As long as you are mobile and able to walk, you can participate in Mountain Trek Retreat’s hiking and fitness programs. People come from all over the world to reboot, renew and rediscover their physical and spiritual health in the mountains. Hard-charging Type-A professionals, students, business people, athletes, retirees, and just plain regular folk work out, hike, eat and support each other in a friendly, collegial atmosphere that respects privacy and sharing in equal measure. The incredible Mountain Trek staff work hard to ensure everyone finds their place in daily hiking groups that reflect personal abilities, challenge levels and desires. 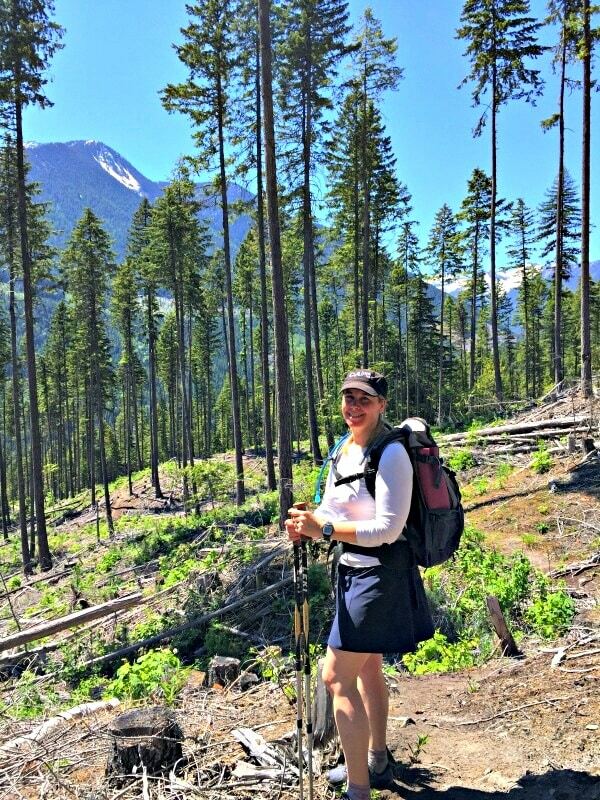 While I’m a fairly experienced hiker and really love exploring the outdoors, I’d be the first to admit that I don’t push myself too hard. That changed when Helene, our hiking guide, led us up Detox Hill on our first day. 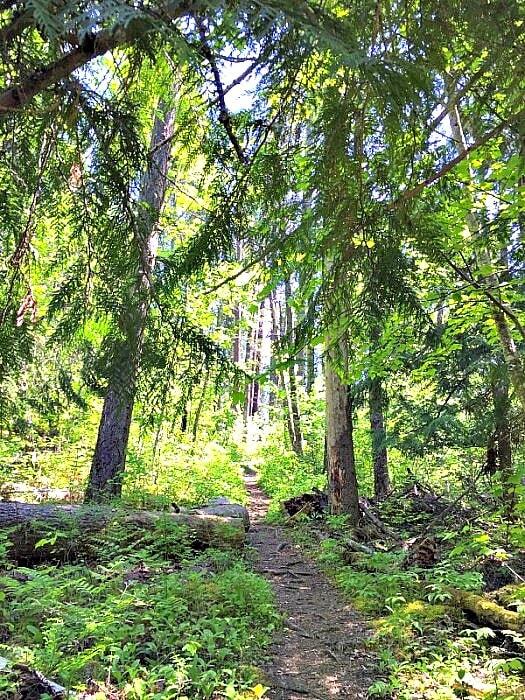 Nature’s stair master had me beat and out of breath pretty fast. It was a lesson in humility, and I realized quickly that I needed that fitness reboot after all. I alternated between a few groups during the early part of the week, then felt right at home in group 3, and ended each day winded and red-faced, but exhilarated by my accomplishment. The daily hikes vary in length from 1.5 to 4 hours, and alternate by trail location from one mountain or river valley to another in the stunning Goat and Purcell Mountain ranges. The hikes comprise a portion of the daily fitness program at Mountain Trek. The Retreat’s fitness regime also focuses on daily yoga, strength, core and cardio training to reboot the body to an active, anabolic state of fitness and activity. While I didn’t feel like doing a spin class after my delicious halibut dinner, the instructor’s enthusiasm and the positive power of the group combined to ensure that I not only went to the class, but also enjoyed it, worked hard, and felt pretty great afterwards. You’re at Mountain Trek to move. Daily decisions and worries like cooking, laundry, and cleaning are taken care of so the only thing you need to worry about is taking care of yourself and getting to the next activity. It’s a pretty liberating feeling for those of us constantly making mental lists, running around, and doing things for others. While I felt a bit selfish and guilty about it at first, by the second day I was so busy, tired and happy that I just let those feelings go, and embraced the moment. 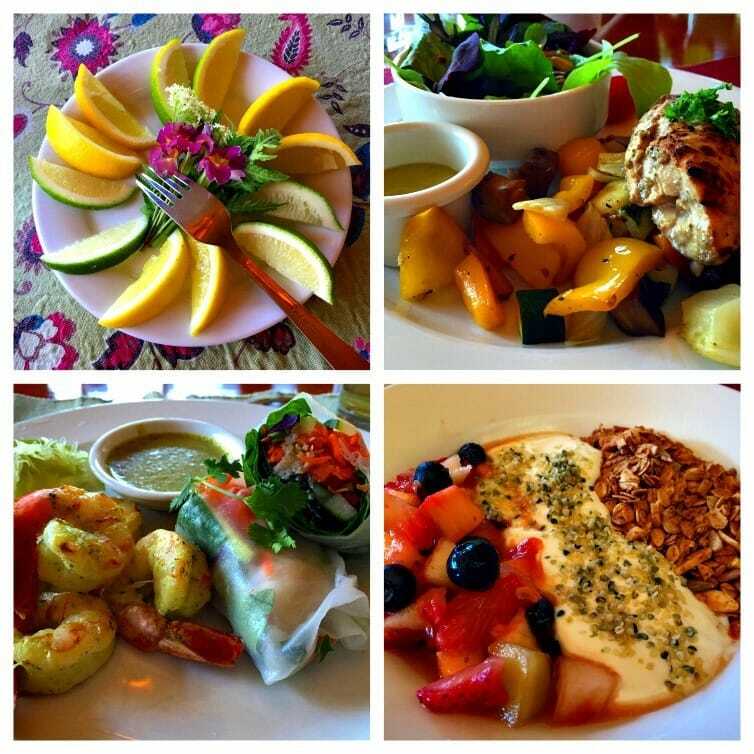 The meals and snacks at Mountain Trek are healthy, delicious, and designed to feed your body and soul. Food is as locally sourced and organic as possible, and beautifully presented to be a pleasure to the eyes as well. The calorie-reduction regime (1200 for women, 1400 for men) is designed to encourage weight loss while maintaining nutrition and nourishment. Daily protein shakes and snacks ensure you’re feeding your body every few hours during the day, which is a necessity to keep blood sugar stable during activity. While I never experienced hunger pangs or felt deprived during my week retreat, it was tough on others. My shared almonds and celery went a long way to make fellow guests happy. Daily lectures on health, sleep, stress, diet and food intake were vital to our understanding and appreciation of what Mountain Trek endeavors to accomplish with its guests. It’s important to know the why of eating right, of what good (and bad) food does to the body, and how the body uses food for energy. These lectures were instrumental to renewing my appreciation of how my body works, what I need to keep it healthy and active as I get older, and how I can limit those foods that aren’t always so good for me. Yes, that includes wine, coffee and white sugar, so obviously, they are totally absent at Mountain Trek. The detox effect of no alcohol, coffee or processed sugar was a shock to the system too, though my caffeine-withdrawal headache only lasted two days. In order to ensure that you keep up the good work once you return to the ‘real world’ post-retreat, the talented chefs at Mountain Trek compiled their recipes into a cookbook for your home-cooking pleasure. I’ve already made 10 of these meals and snacks myself, to the enjoyment of everyone in my family. I didn’t go to Mountain Trek to lose weight. But I did, and a happy hasta la vista to those 4.2 lbs! Mountain Trek’s regime of daily exercise, proper nutrition, and the calorie-controlled diet guarantees a drop in pounds, and potentially a loss of fat (versus muscle), and a loss of inches (6!) as well. Since you’re weighed and measured upon arrival and then again the morning of departure, the statistics help benchmark some pretty impressive milestones. The feeling of accomplishment of getting to a healthy BMI, or just feeling stronger than when you’d arrived, is priceless. If weight loss is your goal, Mountain Trek guarantees that you will lose weight during your time at the retreat. That sounds pretty bold, but after a week of hard work in the gym, yoga studio, and the great outdoors, you will have earned the loss of those pounds! The body isn’t the only thing that can benefit from a week of detox, hiking, massage, and reconnection with nature. Freed from daily decisions, stress and ‘wired connectivity’ (aka. my iPhone), the mind can be free to think, dream, or contemplate serious life issues. The Retreat offers counseling sessions with professionals about nutrition, diet, and IBP (Integrated Body Psychotherapy) that are eye-opening, informative, and cathartic. 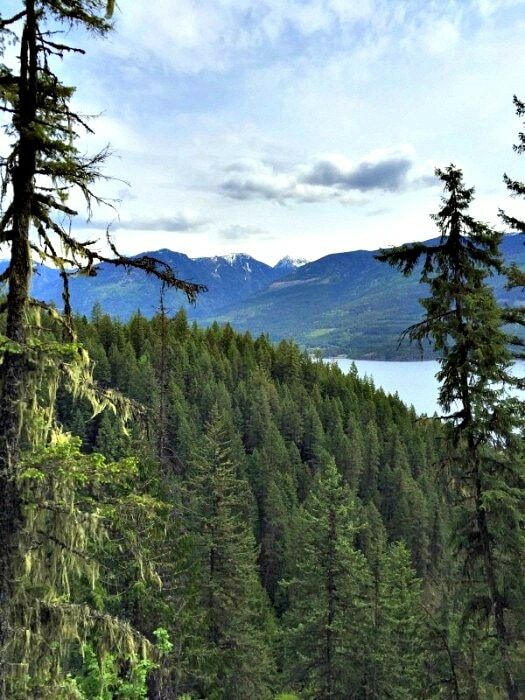 Just being in nature, dipping your toes into Kootenay Lake or smelling the warm forest floor can do amazing things to one’s spiritual well-being. I shed my share of emotional tears during my first few days at Mountain Trek Retreat, but midway through my stay, my mood and spirit changed and lifted. I felt euphoric on our day hikes, and was incredibly grateful to be experiencing nature in the friendly company of wonderful people and amazing staff. I didn’t go to Mountain Trek in search of a life changing experience. I guess it just happened, or more correctly, the daily changes that took place evolved into lasting change because I became open to the idea that it could happen. I decided to seize the day and follow the Mountain Trek Retreat motto to #BeBrave. I am worth the effort to make the positive changes in my life to be a happier, healthier person. In turn, I will pass along this gift to my family and friends, and face every day with gratitude. I encourage you to do the same. Mountain Trek Retreat operates its health, fitness and spa Reboot and Renewal programs from May-October in Nelson, British Columbia, and in sunny Rancho La Puerta Health Spa in Baja, Mexico, in November and February. 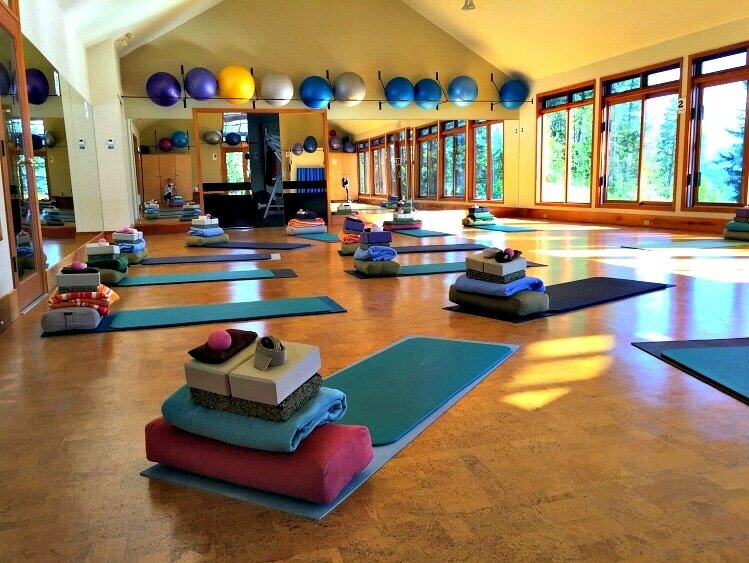 Would you ever sign up for a wellness getaway like the one at Mountain Trek Retreat? Why or why not? Let us know in the comments below! A Note from The Curious Travel Mama: Thank you to Mountain Trek Retreat and Staff for their generous hospitality. As always, her opinions are honest and her own. 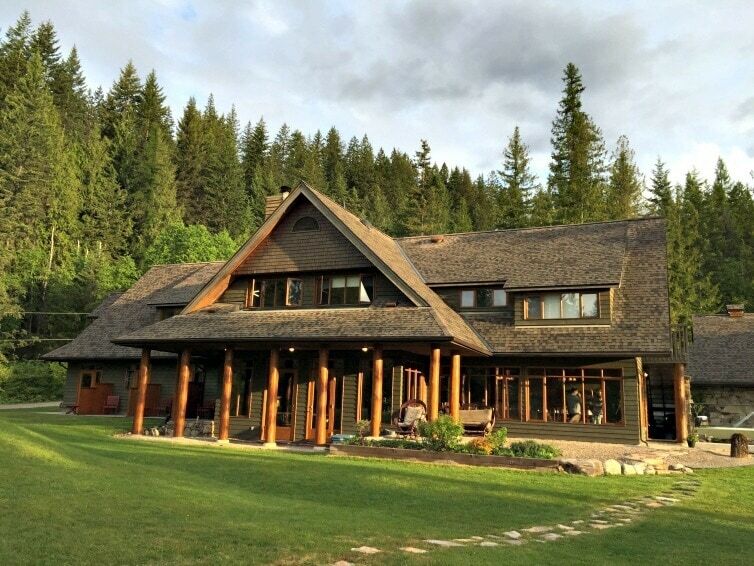 What a great place to retreat – and focus on wellness! I’m inspired – and would love to visit. It really was, @Wandering Educators. Highly recommend! What a beautiful place! This is my kind of wellness retreat. I’m sure you would have an amazing time, Allison! It is spectacular. Thanks so much for your comment. Claudia! This was such a great article – I’ve heard of Mountain Trek and have always been curious abou it. It’s nice to hear directly from a participant. I love how they have a cookbook so you can keep the health food rolling once you get home. I’ll bet their retreat in the Baja is just as awesome. Thanks for the run down on this interesting destination. Thanks very much, Miranda! Yes, the cookbook is really great. Mountain Trek also has some recipes right on their website as well, which is handy! I’ve heard wonderful things about their Baja program at Rancho La Puerta. Seems like the perfect place to visit in rainy November, doesn’t it? Cheers! It’s a great place to reconnect with self and nature, Corinne. Thanks for your comment!